Valentine’s Day is just around the corner and falls on a Thursday this year – Thursday, February 14. Lots of Hyde Park businesses are offering special menus, cocktails, gifts, and more so you can celebrate with your sweetie right in the neighborhood, all weekend long if you like. On Valentine’s Day, la petite folie is offering a special prix fixe Valentine’s Day menu, which will replace the standard prix fixe menu. The menu includes three courses for $45; food only. All beverages, tax, and gratuity are extra. Choose from six different first course options, seven different second course options, and seven different desserts. There will be two seating groups on Valentine’s Day – seating #1 with reservations between 5-6:15 p.m., and seating #2 with reservations from 7:30 until 8:45 or 9 p.m. Call 773-493-1394 for reservations. 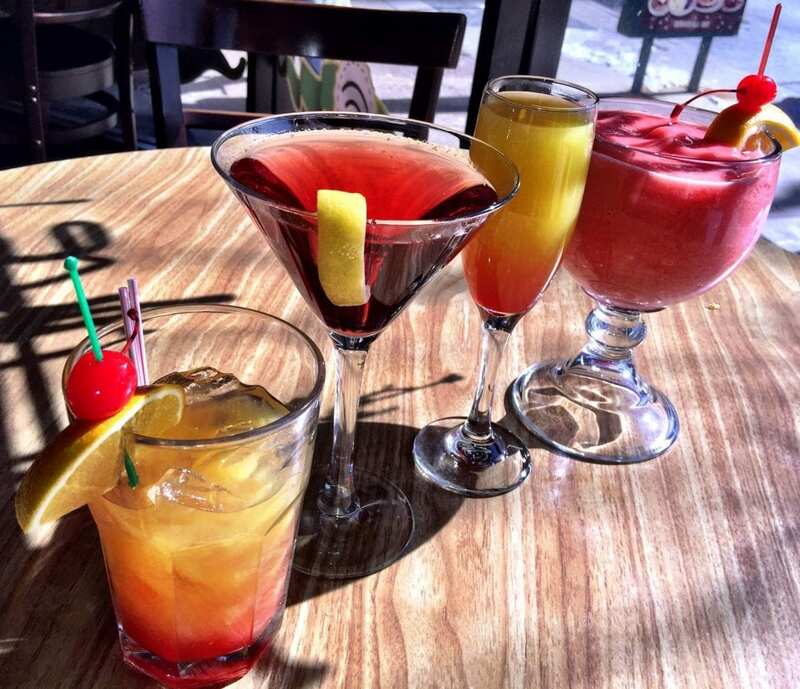 For the entire Valentine’s Day weekend (Thursday, February 14 through Sunday, February 17), Mellow Yellow is offering $4.99 cocktails (Cosmopolitan, watermelon margarita, strawberry daiquiri), $6.99 breakfasts (strawberry pancakes or waffles), and $6.99 desserts for two (carrot cake and strawberry crepes). The restaurant in the new Sophy Hotel has planned a special Valentine’s Day menu with larger portions of appetizers, entrees, and desserts – all meant to be shared with your sweetie. Each course is priced separately, so you can stop just for an appetizer, settle in with an entree, end the night with dessert – or enjoy all three. The appetizer “Seafood Collection” features Kushi Oysters, Jumbo Shrimp, Lobster Tail, and King Crab Legs for $80 per couple. The Chateaubriand entree is a 16-ounce center-cut filet, pan-roasted and sliced, served family-style and accompanied by potato mousse, asparagus, red wine reduction and horseradish cream for $75 per couple. The dessert for two is a Warm Valrhona Chocolate Sundae, with Armagnac Ice Cream, Luxardo Cherries, Marcona Almonds, and Gold Leaf for $18 per couple. There are optional wine pairings and the regular menu is also available. 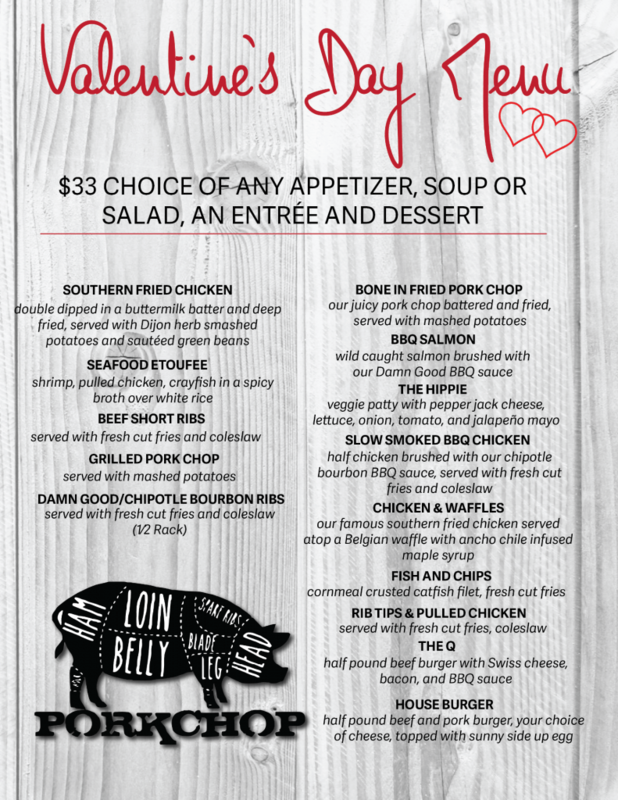 Choose an appetizer, soup or salad, entree, and dessert for $33 with Porkchop’s special Valentine’s Day menu. 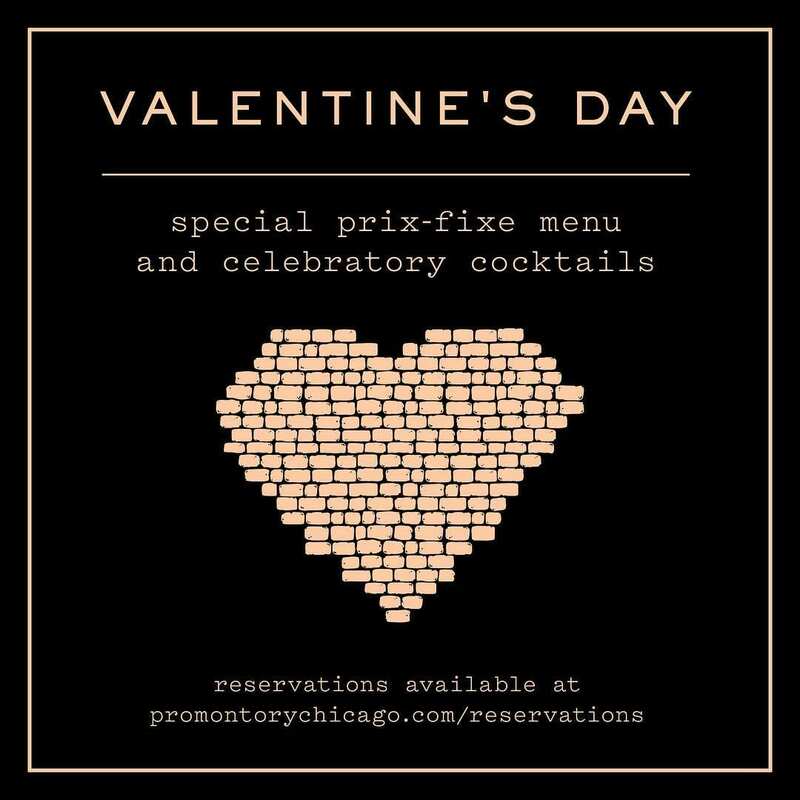 In honor of Valentine’s Day, The Promontory is offering a special prix fixe menu from Thursday through Saturday for $65 per person, with wine pairings for an additional $20. Themed cocktails, including the Cupid’s Arrow, are $10 per person or $20 to share. Reservations can be made online. With their “Love is a Virtue” Valentine’s Day menu, Virtue is offering a four course menu for $65 per person, with three different options for each course. First course options include chilled Alaskan crab, house made crème fraîche, Meyer lemon, watercress, sugar snap peas; pickled red beets, coconut cheese, cashews, roast orange vinaigrette, lamb’s lettuce; or crawfish and shrimp gumbo, Carolina gold rice. Second course options include crispy duck thighs, sweet onions, butter poached turnips, pomegranate BBQ; scallops, smothered cabbage, andouille sausage; or cinnamon-scented squash, cracked wheat, raisins, mint. Main course options include butter poached lobster, salmon, collard greens and sweet potato puree; petit filet, gulf shrimp, southern hollandaise, roasted fingerling potatoes; or red beans and Carolina rice stuffed red bell peppers, broccolini, rouille. 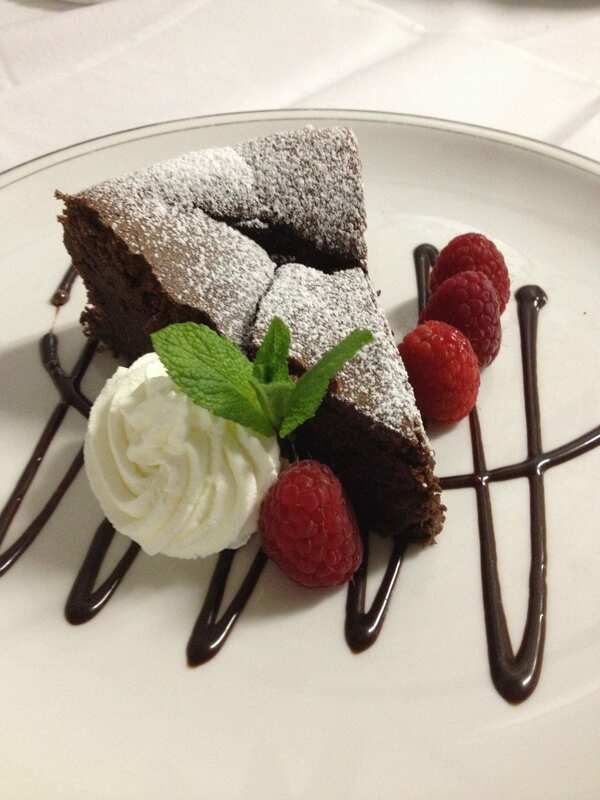 Dessert choices include red velvet cake – cream cheese frosting, fudge, Oreo crumble and chocolate sauce; blood orange, candied almonds, brown butter custard, almond sablé, blood orange gastrique; or your choice of raspberry, strawberry, or blackberry sorbet. Wine pairings are available for an additional cost. Call 773-947-8831 for reservations. Busted Bra Shop is offering a 20% off sale on all purchases from February 12-16. This sale can’t be combined with other offers, and includes in-store/in-stock purchases only. Buy two pairs of jeans and receive $10 off your total purchase – you and your darling will be looking good in your new denim. Tell your loved one how wonderful she or he is through cakes. 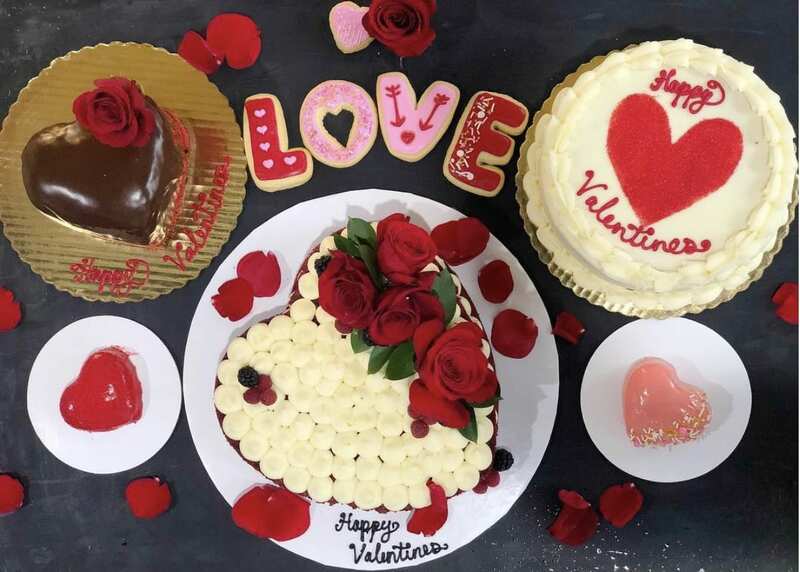 Fabiana’s Valentine’s Day menu includes boxes of LOVE cookies, six macarons, or chocolate covered strawberries; red velvet heart-shaped cake; bite-sized heart-shaped cake; 6″ chocolate covered cake; or an 8″ cake with heart design. Call 773-658-9843 to place your order. Hyde Park’s neighborhood candy shop makes Valentine’s Day gift-giving easy with special gift baskets from $50 and up, chocolate covered strawberries (1/2 pound for $30 and one pound for $60), and a “buy two get one free” offer on fudge. Or try Kilwins’ gift-boxed gourmet caramel apples starting at $7. 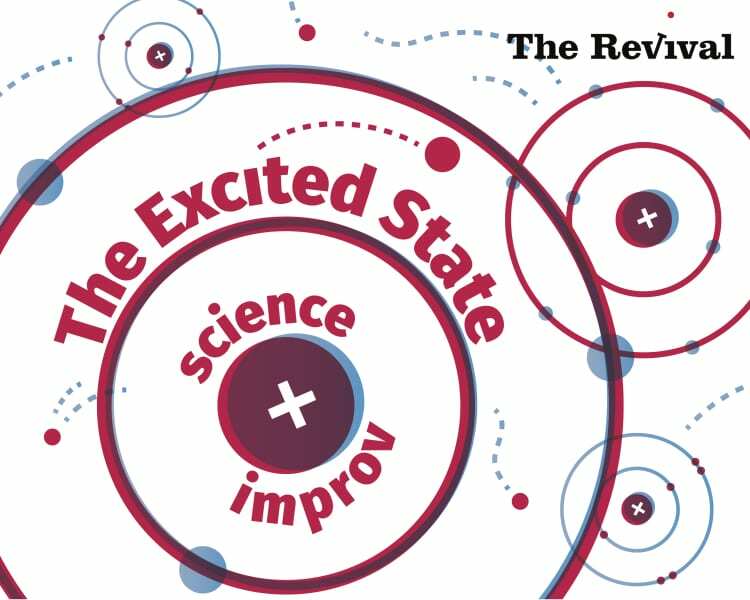 On Valentine’s Day night, The Revival has a special 8 p.m. performance of “The Excited State” – which takes the audience on a hilarious – and utterly improvised – journey of discovery through scientific history, breakthroughs, and common misconceptions. The troupe is comprised of Chicago’s most outgoing scientists from UChicago, UIC, IIT, Fermi Lab, Argonne and elsewhere – with special guest University of Chicago Professor of Medicine Dr. Elbert Huang. Continue celebrating through the weekend with Friday’s “Off Off Campus” performance at 7:30 p.m., or Saturday’s “Hyde Top Fade” performance at 8 p.m. In honor of Valentine’s Day, The Space will be hosting a day for couples! All couples are welcome – roommates, friends, partners, lovers – or feel free to come on your own. If you are currently a member, or are interested in learning more about The Space’s offerings, send an email to RSVP, with the number of people who will be attending. This Hyde Park gym offers one-on-one and small group personal training, as well as group classes, and general membership.